As you know, I am a huge fan of California. I love all of the beaches. Most of the ones I have visited are in Southern CA. There are some NorCal beaches though, that are not to miss! Santa Cruz is full of color, views and excitement! I've been to Santa Cruz many times, but have never stayed overnight. This past July, I stayed for the day and night with some friends . We got a hotel room and spent two days exploring the boardwalk, and chilling on the beach. The beach and boardwalk at Santa Cruz, have been amusing visitors since 1907. This beachfront paradise, is one of the last classic amusement parks in the U.S. The park is also considered one of the best in the world. The boardwalk first started out as a public bathhouse in 1865. Other businesses started to open bathhouses locations in the same area. Soon thousands of tourists started flocking in. They all came to enjoy the healing powers, of soaking in salt water. This lead to let to a boom of activity at the beach. Several concessions , restaurants and shops sprang up. Back in that day, Fred Swanton, ( a well known entrepreneur) drew up plans for casinos and boardwalk. The Coney island vibes of New York came west! 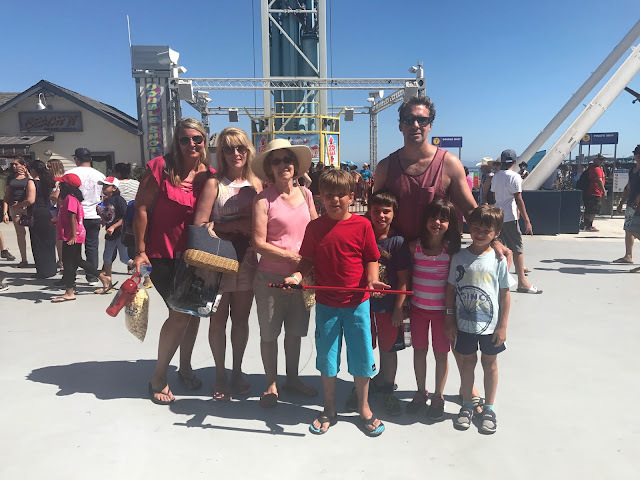 The boardwalk offers fun for the whole family. There are tons of fun rides, even a log ride similar to the one at Disneyland. Hang on to your hat if you decide to ride the "Great Dipper". This classic wooden coaster has Hollywood fame. It has been seen in several movies such as: "Sudden Impact", "The Lost Boys" and "Dangerous Minds." Neptune's Kingdom is a kid's paradise offering: ping pong, pool, air hockey and miniature golf. Also shop til your drop in variety of shops and clothing boutiques. *Carousel Beach Inn : Just a few steps from the beach. The rooms are decorated bright, colorful and have nostalgic vibe. *Casablanca on the Beach; This one is is also just steps from the beach , and for you - if you are looking for a romantic getaway. This location offers beach style cottages with old world charm. Anything you are craving is yours to munch on! Don't miss out on one of the huge yummy corn dogs- to die for! * Coaster's Bar & Grill - A spot to check out if you love live music and karaoke. A beautiful patio view for lunch, and entertainment await you. The Pacific Ocean view, will mesmerize you for hours. The water is a bright aqua marine blue, calming and restful. If you are into paddle boarding and surfing , you will be right at home. These are popular water sports in Santa Cruz. As with any CA beach, be wary of sharks. Not long after I left, a surfer left the beach with a huge chomp out of his surfboard! Located on the far right end of the beach, is a long dock with several eateries and shops. This time I took a stroll to check it out. It was a long walk, but very relaxing. The view captured from the dock was quite amazing! The water is not very warm, and sometimes the breeze is cool. Be prepared with warm clothes, after you take a dip! Have you been to Santa Cruz yet? more destination guides here. You can also follow my latest travel journies on Instagram. I've been to Santa Cruz before! I thought it was such a blast. I love the nostalgic fair/smells/rides etc. It's such a fun place to feel a bit like a kid again. Yes Exactly Rachel...it does bring back all the kid memories!! I've driven through Santa Cruz, but I have never stopped. Next time I'm close by I am definitely going to check it out. Hey Mary, yes I hope you can stop its so much fun ! I love all the colors there! I think the biggest surprise for people that visit California is how cold our water is. At any rate, I love Santa Cruz but that is mostly because my oldest son lives there. I've been to Santa Cruz, but only to a few quite beaches. It's beautiful. I need to check out some of the more lively activities next time! Yes its so fun there, I hope you get another chance to go! I hope you can go..its so much fun! Thank you Abby..its a fun summer destination! 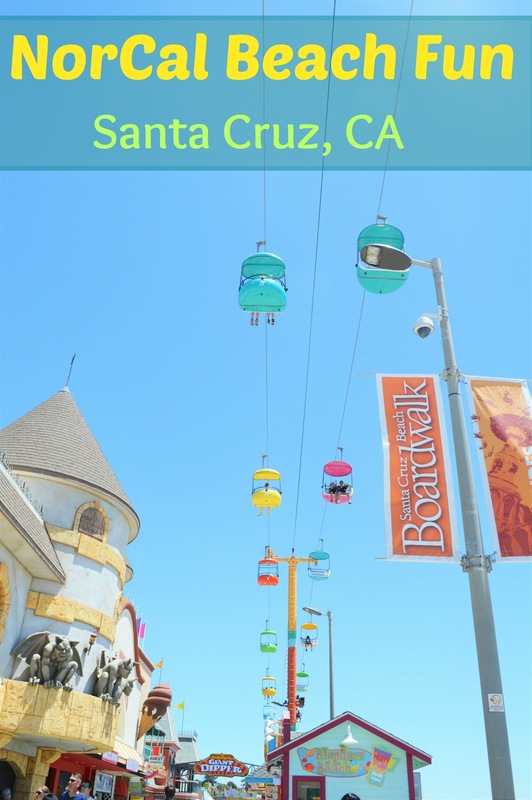 I've not been to Santa Cruz, but will definitely have to check it out! Looks fun. Hey Kristi, hope you make it there, the downtown area has lots to explore too! Love this, i didnt know all the interesting history about SC! Thanks for all the amazing recommendations as well - I'm going later this month and it should come in handy! And the style recs are great also! Awe Thanks Kimmie, I am so glad it will be helpful for your upcoming trip! Santa Cruz is totally the Coney Island of the West! Santa Cruz is one of my favorite spots to hit up during the summer time. We often go once a month or more during the summer months. Wow Lucky you Nie, I usually only make it there every 2-3 years, I need to move to CA..since everything I love is there! What a fun area of Santa Cruz. I have not been, yet. Need to start planning that summer trip! Yes you do..it's really a place you can do on a budget..so much fun@! Lovely! I have always felt attracted by San Diego, and Sta Barbara, but I had no idea that Santa Cruz could be so lovely! It seems like a perfect place to spend a day relaxing and forgetting about it all! Thank you for sharing! thank you for stopping by, yes it is very relaxing there and the scenery is to die for..I hope you go! I am so glad it was helpful and I do hope you can go soon! The beaches in CA are the best...NorCal beaches are just as lovely as the south..just not as warm...I am so glad it was informative and helped out!